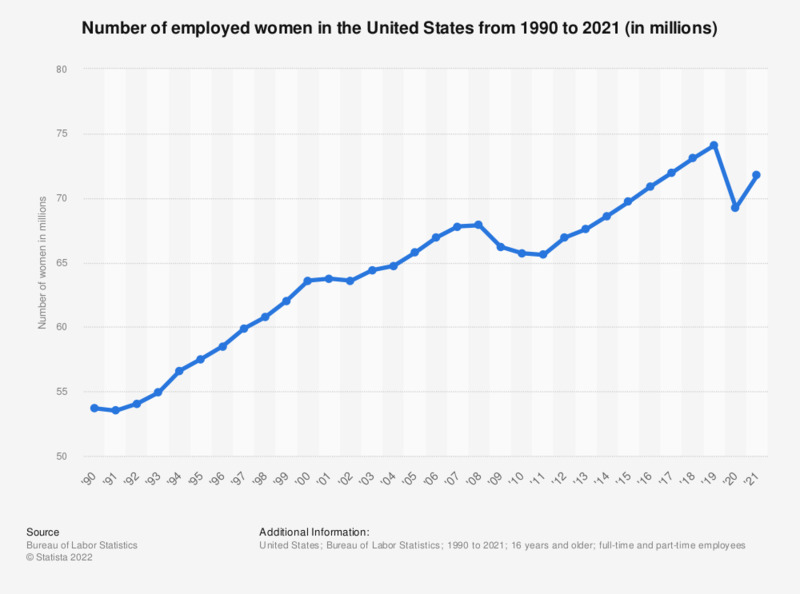 This statistic shows the unadjusted number of employed women in the United States from 1990 to 2018. In 2018, about 73.06 million women were employed. How often do you personally use hair dyes?